This document forms the Soft Cogs Inc Member Grievance Policy and Procedure. It outlines the rights and responsibilities of both the Soft Cogs Inc and the individual Member responsibilities with respect to any issues that arise. Grievance: occurs when the Member feels aggrieved about a matter associated with their membership of the Soft Cogs Inc, or a decision, action or behaviour by another member of the Soft Cogs Inc, a Moderator, or a Director of the Soft Cogs Inc, and that matter may affect their ongoing membership with the Soft Cogs Inc. Grievance Handler: normally a Moderator, this person is responsible for reviewing the grievance in accordance with the provisions of this procedure. Where the Moderator is the focus of the grievance, an alternative Grievance Handler may be appointed from another area of the Soft Cogs Inc. The default Moderator is the current president and the alternate is the Vice President. In the event both positions are the immediate focus in the grievance, an alternate may be chosen by the other office bearers. Reviewing Board: the board of three (3) Soft Cogs Inc Office Bearers (or senior members), who is responsible for reviewing a grievance outcome or process in accordance with the provisions of the procedure. a. A Member who feels aggrieved about a matter associated with his or her membership with the Soft Cogs Inc is expected to raise the issue(s) with a Moderator as soon as practicable. The Moderator must initiate discussions with the Member within two working days of receiving the grievance. The Moderator’s initiation of discussion will be an acknowledgement of receipt of grievance. The investigation of the grievance will then proceed in a timeframe outlined in this Policy. b. The aims of such discussions are to determine whether a genuine grievance exists; gather information as required to assist with the resolution of the grievance; and resolve the grievance or arrange mediation or conciliation to attempt to resolve the grievance. a. 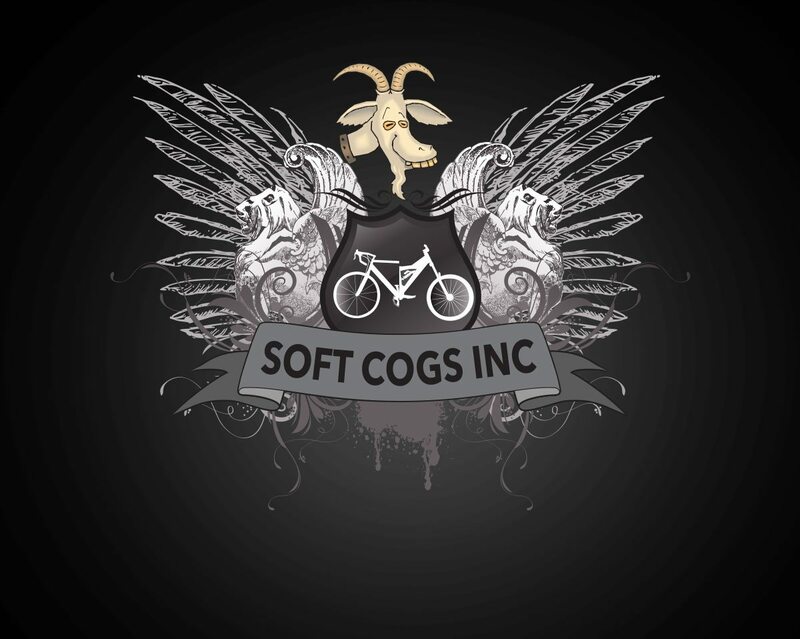 It is acknowledged that from time to time, Members will have concerns about the behaviour or decisions taken by others within the Soft Cogs Inc. Normally, these matters will be resolved directly or locally by Members, discussing these matters in an open, candid and constructive manner. Where this local approach does not resolve the concerns and Member speaks to a Moderator, or lodges a formal grievance with a Moderator, then it is expected that any person lodging a grievance in good faith will not be disadvantaged or victimised in raising the grievance. b. The underlying premise of this procedure is that in most cases it is more effective and relevant to clarify and resolve grievances as close to their source as possible, i.e. at the Member level. c. The Moderator’s general responsibilities with respect to grievance administration include identifying, preventing and responding to inappropriate situations in the workplace so as to create productive work environments. A Soft Cogs Inc Director may decline a Member’s grievance if it is satisfied that the submission is vexatious, frivolous, misconceived, or lacking in substance. d. The parties involved in grievances are expected to participate in good faith, have regard to facts, policies, procedures, and the particulars of the circumstances. Grievances will be reviewed in the spirit of achieving resolution, procedural fairness, sensitivity to the parties and confidentiality. e. It is important to note that grievances will not be reviewed where the grounds for the grievance appear to be vexatious, frivolous, or malicious. f. Personal disappointment with the determination and recommendations of a Grievance Handler will not normally be sufficient reason to warrant a further review. i. Usually a Member will attempt to resolve a grievance directly, but where a satisfactory resolution has not been achieved, the Member may formally request that the Moderator (hereafter called the Grievance Handler) take action to review and resolve the grievance, often through conciliation. ii. In cases where the Moderator is the focus of the concern, the Member may seek advice from a Director of the Soft Cogs Inc on how best to proceed. In some cases, for the sake of perceived fairness and impartiality, it may be necessary for a different Grievance Handler to be appointed. iii. The Member must state in writing what the grievance is, identifying the facts and issues together with an indication of what resolution is being sought e.g. discontinuing certain behaviour, review of decision, apology from another Member. iv. Within seven working days, the Grievance Handler will have clarified the details of the grievance with the Member and subsequently advised any other persons of the particulars of the grievance. v. Within a further ten working days, the Grievance Handler will ascertain the nature and merits of the grievance, providing all relevant parties with information and the opportunity for input, maintaining an open mind in an effort to understand the issues as seen by the various parties. The Grievance Handler will gather any documentation or supporting material and take such notes as necessary to fairly represent the issues. vi. The Grievance Handler will attempt grievance resolution, often through conciliation, at which time if successful the matter will be deemed resolved. Where conciliation does not provide grievance resolution, the Grievance Handler is likely to make a determination in relation to the grievance. • initiating training in certain issues or behaviours. viii. The decision and recommendations of the Grievance Handler are to be communicated in writing to the Member who lodged a grievance and other parties, if appropriate. i. Subject to Stage One being completed, and where a Member is not satisfied with the determination of the grievance made by the Grievance Handler, the Member may seek a review of the grievance outcome or process with a Board constituted of three Senior Members (hereafter called the Reviewing Board). Such a request for review must be lodged within five working days of the written advice provided by the Grievance Handler. ii. The Member must lodge the request for a review in writing, stating how or why the process at Stage One did not resolve the grievance and what remedy the Member seeks. iii. Within seven working days, the Reviewing Board will have clarified the details of the dissatisfaction with the initial grievance determination and subsequently advise any other persons of the particulars of the review. iv. Within fourteen working days, the Reviewing Board will assess the process that occurred to determine the merits of the initial (Stage One) grievance, providing the opportunity for any additional input, and maintaining an open mind. The Reviewing Board will re-assess any documentation or supporting material and seek further material, as required. v. Having regard to the original facts, issues and any additional information discovered, the Reviewing Board will decide if the initial determination of grievance was valid or should be set aside. It is not intended, however, that the Reviewer intervene to overturn a finding of the Grievance Handler unless the Reviewing Board has found that there has been a flaw in process or other serious error at Stage One. vi. The Reviewing Board will write to the Member to advise the determination and the outcomes of the review of the grievance. i. In cases where a grievance is against a senior Member or Moderator or where a Member remains dissatisfied with the process after Stage Two, a grievance may be lodged with the Director of The Soft Cogs Inc.
ii. Stage Three grievances must be lodged in writing stating the facts and issues, outlining the remedy sought. In the case of review of previous stages, this document must state how and why the previous Stages have failed to address the grievance and be lodged within five working days of the Reviewing Board’s written advice of the outcomes of their review. iii. Within five working days, the President of the Soft Cogs Inc will clarify the details of the grievance against a Senior Member or Moderator, or the dissatisfaction with the earlier stages and subsequently advise any other persons of the particulars of the Stage Three grievance. iv. Within ten working days, the Director of the Soft Cogs Inc will assess the details or process that occurred to determine the merits of the grievance. Having regard to the facts, issues and any additional information discovered, the Director will make a determination on the grievance or review of the earlier stages. The Director will write to the Member to advise the determination of the outcomes of the final review of the grievance.